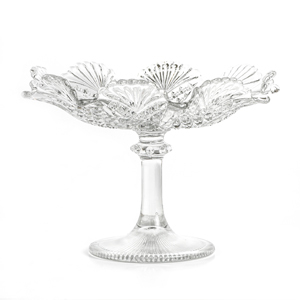 Punch bowl with base, ladle and glass punch cups. 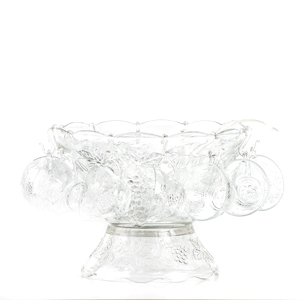 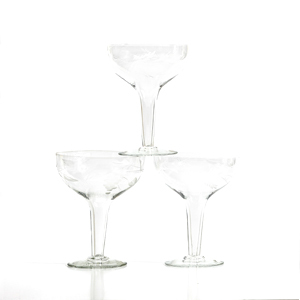 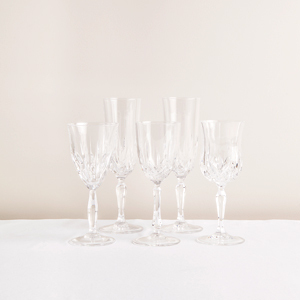 Included in the set is a large decorative glass punch bowl, a smaller bowl which becomes the base, a plastic ladle and 20 glass punch cups. 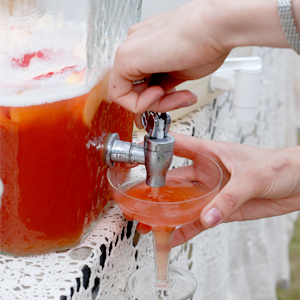 Also included are the hooks to hang 12 cups from the side of the punch bowl.